Facial Recognition and the Big Brother Watch Report? The issue of police use of facial recognition technology is a very serious one that requires inclusive and open debate resulting in a policy framework that provides acceptable use guidance. The technology has significant potential to enhance public safety, but this must be balanced against the public’s very justifiable expectation of privacy and proportionality. 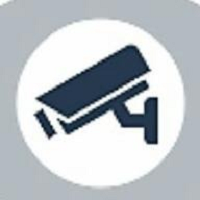 The data released by the South Wales Police and the London Metropolitan Police concerning their use of facial recognition is not sufficient for Big Brother Watch to have arrived at the conclusions they have. Their misrepresentation of this data is likely either a result of their misunderstanding of how it should be interpreted, or a desire to stifle open debate to achieve a predetermined political outcome. Learn how to measure facial recognition error rates. @bbw1984 is right to question facial recognition. Every time the police have been given new legislation, like anti-terrorism laws, they’ve abused them. Every time the police have been given new toys, like lasers, they’ve abused them. When faced with widespread evidence of corruption, the police invesstigate theselves and deny it. When faced with non-disclosure by police and CPS leading to people being falsely imprisoned the police apologise and carry on as normal. Public confidence in the police is at an all time low and you just get policemen complaining that they’re not corrupt, they just turn a blind eye to corruption. That’s called being an accessory. We absolutely agree with you. They do have a right to question. You do. I do. We all do. That is what was meant by “open and inclusive debate”. We also all have a responsibility to be accurate in our representations during such debate, or risk losing all credibility.